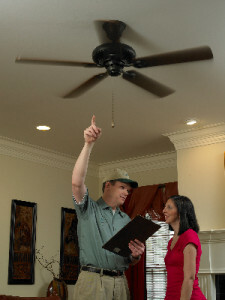 With more than 10 years of experience in various career roles in the Home Performance Industry, Keith knows energy. Throughout his career, he has focused primarily on retrofit services—establishing infrastructure and policy standards for exceptional customer service in an industry where the customer is often overlooked. As a home energy auditor certified by the Building Performance Institute (BPI) and thoroughly trained as an Envelope Professional, Keith’s attentiveness and knowledge of building science plays a primary role in assessments and implementations that are pertinent to a project’s structural needs. Once as a weatherization technician, Keith conducted over 150 multi-phase retrofits that accommodated many homeowners with their insulation and ventilation needs. Keith currently works with GreenStreet Solutions (greenstreethome.us), an energy efficiency company serving Cleveland, Dayton, and Greater Cincinnati. Keith’s mission is to oversee GreenStreet’s Total Home Performance Reviews, and subsequent implementation services. He helps utility customers realize the importance—and savings—of home energy efficiency. In addition, he ensures that every GreenStreet client fully understands the opportunities and recommendations made by the performance team to improve efficiency reduce energy loss and increase comfort in their homes or business structures. Keith attended Sinclair Community College in Dayton, Ohio. He also trained with the Ohio Laborers’ apprenticeship program in Howard, OH where he received his environmental and microbial remediation certifications. With extensive management experience in customer-oriented companies throughout Dayton and Cincinnati, Bradley brings exceptional customer service to his role as auditor for the Monroe office of GreenStreet Solutions. His innovative techniques and attention to detail have been the hallmarks of his career. Bradley is a graduate of Bowling Green University, with a Bachelor of Arts in Interpersonal Communication and minors in Marketing and Organizational Psychology.